• Big Rush Inc. has 150 sets of the Oscmar International MILES 2000 Weapons Effects Simulation system complete with the Mini Automated Target Alignment System, Umpire Guns and After Action Review laptop computers and software. • The MILES equipment can be delivered to any location within Canada. We will also provide full on site technical support to keep the system going or effect repairs to non-functioning pieces. • The equipment is broken down into three platoon group sizes of 45 sets each. • Each platoon group of 45 sets can be rented for $2450.00 per day. 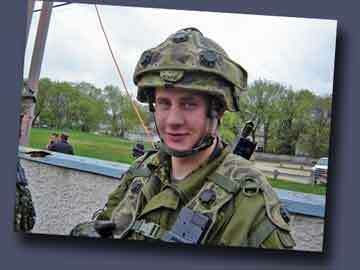 For each additional platoon group add $2450.00. • This price includes all shipping and handling, batteries, on site technical support and After Action Review Reports. • We have a Standing Offer in place with DND. The MILES 2000 equipment we offer is divided into three platoon groups of 45 sets. Each Platoon Group can be rented for $2450.00 per day (Now $2205.00 per day). 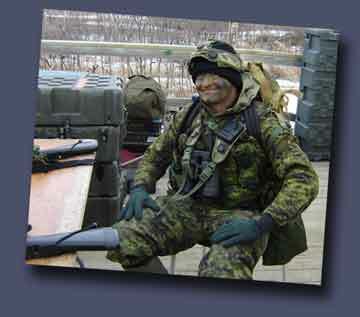 Two Platoon Groups $4410.00 per day and three Platoon Groups $6615.00 per day. This is enough equipment to outfit a standard dismounted rifle company and an enemy force. We have additional GPMG, C9 and C7 Laser Transmitters that form part of our repair pool, 15 in total. These along with harnesses can be rented for an additional $55.00 each per day. In total we have 150 sets for rent. Please visit our website at www.bigrushsimtraining.com for more information (ie; pictures) of the MILES 2000 equipment. Once a booking has been confirmed either by letter or e-mail the equipment will not be rented out to another group. If a contract has not yet be issued by PWGSC and a request by another unit has been submitted then the first unit will be contacted to confirm the booking before negotiations commence with the second unit. Any unit with a PWGSC contract has a contract and no other unit will get the equipment. If a unit books the equipment and cancels the booking at least 30 days in advance of the previously agreed to date then there is no penalty. If the unit cancels the booking within 14 days of the previously agreed date then the unit will be charged any actual costs incurred by Big Rush Inc. (Normally this includes airplane tickets or shipping charges). If the unit cancels with less than 14 days notice then the unit will be charged for the full cost of the rental contract.